Nokia’s recent shift toward the Windows Phone platform had many wondering if the iconic manufacturer would be able to continue its track record of success. Early reports are indicating that sales of the Lumia 800, Nokia’s flagship Windows Phone device, have been overwhelmingly positive. This is good news for Nokia fans and Windows Phone fans alike. Nokia has always had delivered excellent hardware design, and the Windows Phone platform gets backing from a major hardware manufacturer. 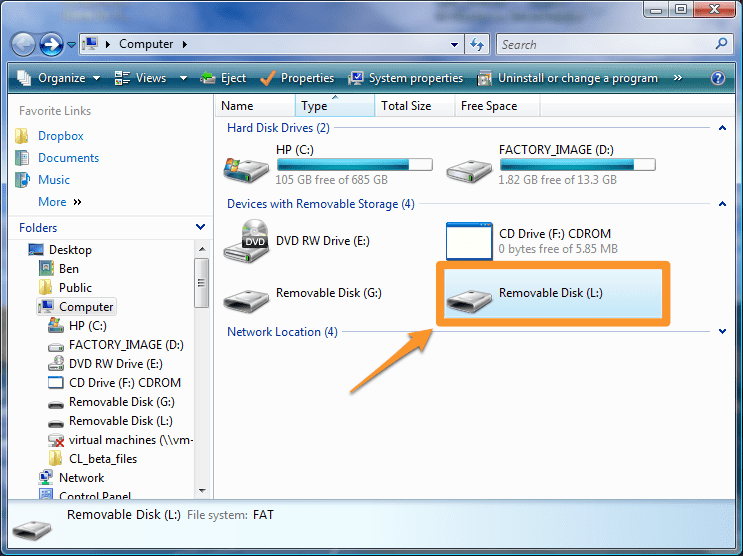 One of the big questions users have when they pick up the device is how to sync the Nokia Lumia 800 with Outlook. Out of the box, the Lumia can sync with Exchange, but standalone Outlook users must look for another solution. 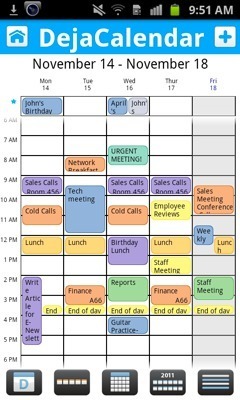 CompanionLink offers two methods to sync Outlook contacts, calendar and tasks with the Lumia 800 – syncing through Google or via Window Live Hotmail. 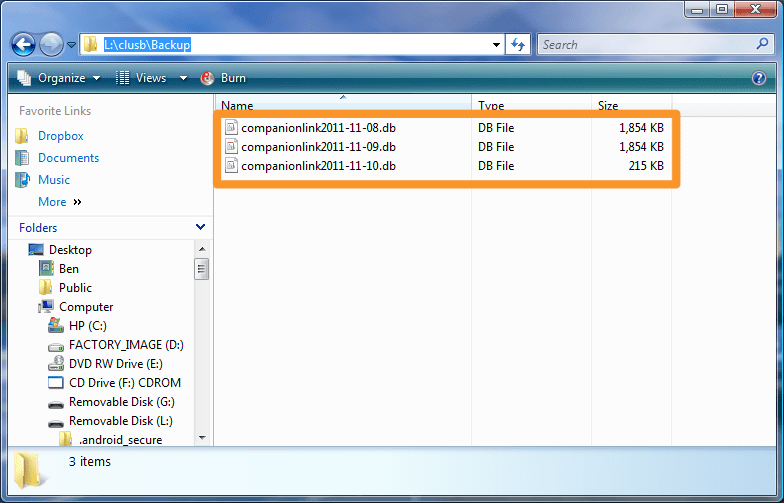 CompanionLink works by syncing Outlook data to a Google account or Windows Live Hotmail account. 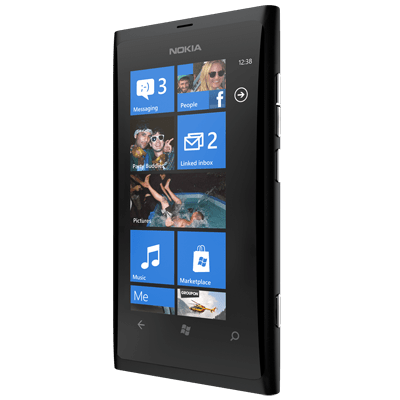 From there the Lumia can be configured to automatically sync with either account over its wireless data connection (note: Google does not sync tasks with Winodws Phone devices – CompanionLink recommends syncing via Windows Live Hotmail). For more information on how CompanionLink syncs Windows Phone devices like the Lumia 800, visit www.companionlink.com/windowsphone/. We’re excited to see what Nokia has in store for us next! It’s a great time to be in the market for a new smartphone, especially for Verizon customers. With the DROID RAZR now available and the Nexus Galaxy around the corner, the carrier has quite the holiday line-up. But they’re not done yet. The HTC Rezound, released today, completes the trio of powerful Android phones available from Verizon this season. The folks over at The Verge have an impressive review of the Rezound available, and I’d encourage you to check it out if you’re interested in learning more about the phone. If you’re interested in learning more about syncing the Rezound, however, you’re in the right place. As with most any Android device, you’re able to sync contacts, calendars, tasks, and memos from a whole host of CRM software to the HTC Rezound. Learn more about your options at https://www.companionlink.com/phones/htc-rezound.html or head over to our downloads page to get your 14-day free trial and start syncing today! Great news for those of you using Windows Live and Outlook: Sync via Windows Live is now in beta! As you might expect, it works like our Sync via Google option: just put in your Windows Live credentials and we’ll wirelessly sync Contacts, Calendars, and Tasks from Outlook to Windows Live. 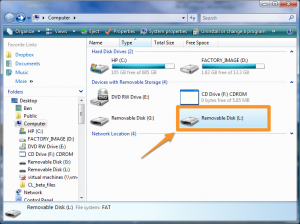 From there, the data syncs down to your Windows Phone 7 or any other device configured with your Windows Live account. This feature is currently in beta, but you can try it for yourself today by downloading the latest build of CompanionLink 5 (build 5004). When you select Windows Phone 7 as your device, you’ll see Sync via Windows Live as one of the sync options. Just follow the prompts from there and you’ll be set to begin syncing with Outlook or any other CRM system we support. I should note that you can also opt to sync directly to Windows Live by selecting “No Device – Sync with Windows Live – BETA”. 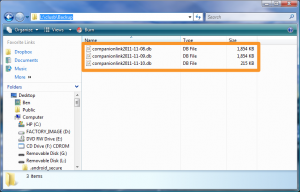 This allows you to sync Outlook to any device that your Windows Live account is set up on. And it’s not just Outlook – you can sync ACT!, Lotus Notes, Salesforce, and more with our new Sync via Windows Live option! So go ahead and get started today. We’d love to get your feedback on Windows Live sync! Send us a message at marketing@companionlink.com or leave a comment below! If you’re new to CompanionLink, you’ve probably noticed several references to DejaOffice by now. In fact, you may be wondering what exactly DejaOffice is. Well, I’m glad you asked. 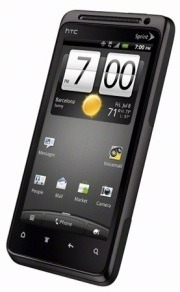 Just the other day, Sprint released the HTC EVO Design 4G. At just $99, this Android-powered phone is a great buy. 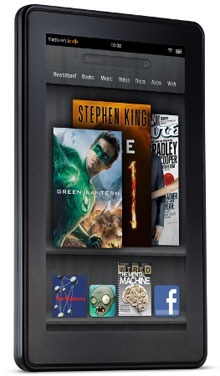 In fact, the EVO Design 4G features a lot of the power and style of the EVO 3D – just without the 3D. When it comes down to it, the value you get for your money makes the EVO Design 4G a hard phone to beat. As with nearly all new Android devices, we’re able to sync the EVO Design 4G with a variety of CRM software, including Outlook, ACT!, Salesforce, Lotus Notes, and more. To learn more, visit companionlink.com/android/outlook or download your 14-day free trial at companionlink.com/downloads today!